We have an exciting opportunity for a motivated individual to join our high performing Development team. This diverse and highly collaborative role will partner with the team providing Development Analyst and Assistant Development Management expertise across a range of projects within Origination, Office (Commercial), mixed-use, CBD retail and industrial. This role will provide fantastic career progression opportunities within property development, asset management, funds, finance or a number of other avenues within the wider business. You will be an important and valued member of the Development team, your role will be highly varied and includes assisting in the feasibility, management and planning of developments using project management tools, ensuring that financial and other project milestones are clearly established and conducting property feasibility analysis to gather data for business decision making and data analytics. Commercial responsibilities include cost reporting for live projects ensuring all commercial, finance, statutory and regulatory requirements are understood and communicated to stakeholders. As the Development Analyst, you will also require strong business partnering skills, seeing you deliver value-add and commercially focused expertise to the wider development team. Your role will ensure the latest development assumptions and metrics are being modelled along with preparing internal and external reports. You will also identify financial and commercial solutions to development and property related issues and ensure all required budget and forecast inputs are accurate as well as delivered in a timely manner including models and assumptions for income, capital and leasing. The successful applicant will have relevant experience and be able to demonstrate an understanding and passion for property development with strong business writing and financial modelling skills. 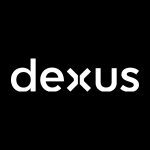 We are looking for Dexus’ next top talent, those who pride themselves on being creative and adaptable. Ideally you will have a degree qualification in Business, Property Development, Property Finance, Law or even Architecture or Engineering. You must have the hunger and drive to learn and grow in your role, using modelling and forecasting to enable/support the business in making better commercial decisions.